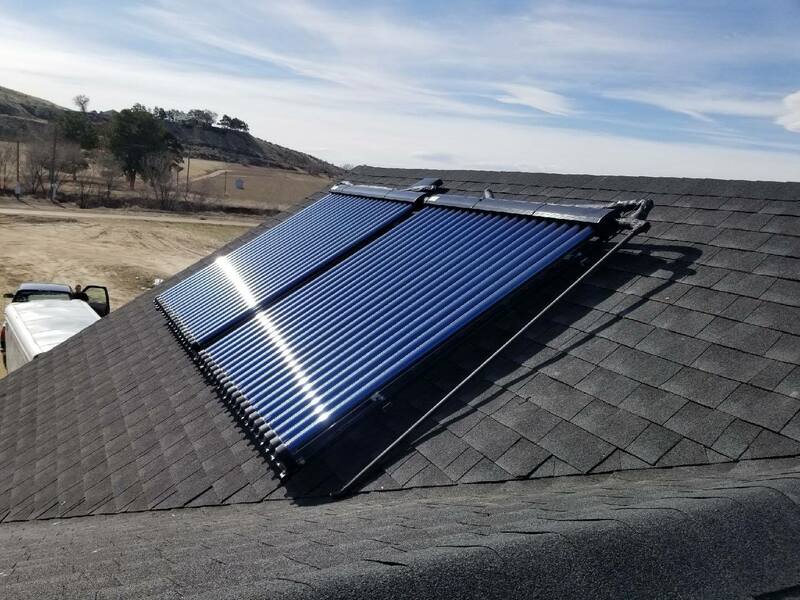 One thing that keeps some homeowners from even considering installing solar on their home is the concern that they will have to clutter up or cover their roof with huge bulky panels. While every home will require different installations for varied needs you’ll be happy to know that our systems generally take up less space than traditional photovoltaic solar panels and offer even more efficiency! We start by first looking at how we can reduce your home energy load before even considering “how much” solar we should install in your home. There are a number of things that can be done to improve the efficiency of most home HVAC systems, and we like to start there because it allows us to offer even better energy conservation for your home from the get-go. Our solar thermal systems can generally take care of most single family homes with just a couple panels installed. From there we have a base energy level we can work with and start developing an all inclusive energy solution for your home! Depending on your home needs and your preferences we can offer great renewable options like solar attic fans, as well as solar PV for electrical support, and our highly efficient solar thermal systems to heat and cool your home year round. Our payback figures are among some of the shortest available of any green energy; you can expect to see savings on your energy bill right away! We would love the opportunity to speak with you about your home energy needs and how we can help cut them in half! Get in touch today to schedule your on-site solar estimate and start saving tomorrow!